YANGON, April 27 (Reuters) – The United Nations’ refugee agency has criticised a Myanmar government plan to resettle Rohingya Muslims displaced by recent violence in “camp-like” villages, saying it risks stoking tensions, according to a document seen by Reuters. 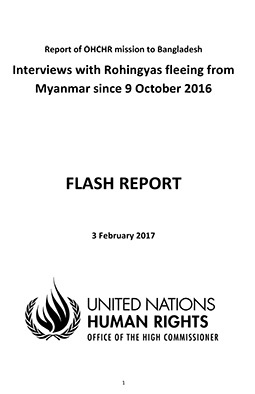 The plan – confirmed by a senior state-level official – has sparked fear among residents that they would end up penned into de facto refugee camps, the document produced by the UN High Commissioner for Refugees (UNHCR) in Myanmar said. Attacks on border guard posts in northwestern Myanmar in October last year by a Rohingya insurgent group ignited the biggest crisis of national leader Aung San Suu Kyi’s year in power. Security forces stand accused of mass killings and gang rapes during the counterinsurgency operation that followed. Instead, authorities have devised a plan to relocate some 1,152 households from 13 scattered hamlets into larger, more manageable “model villages”. “Based on the information available on the model villages and concerns brought to our attention by affected villagers, UNHCR stressed the importance to allow displaced communities to return to their place of origin and have access to their previous source of livelihoods,” UNHCR Myanmar spokesman Andrew Dusek said by email when reached for comment on the document. More than 1 million Rohingya live in apartheid-like conditions in Myanmar’s Rakhine State, where many in the Buddhist majority consider them interlopers from Bangladesh. While Dusek said the UNHCR understood the plan was still at draft stage and may not have been finalised, Rakhine State government secretary Tin Maung Swe said the local administration had already started implementing it. Tin Maung Swe said relocation was in the residents’ interests as the “model villages” would be closer to government services. 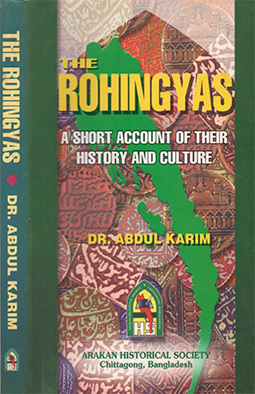 Rohingya villages in rural northern Rakhine were arranged “randomly” at present, he said. Residents told UN staff they feared losing access to their farmland and fishing grounds, and becoming stuck in what would become “like IDP camps”, the UNHCR document said. “A forced relocation to the ‘model villages’ would not progress stabilisation in these areas,” the UNHCR document said. About 120,000 Rohingya have lived in “internally displaced persons” camps in Rakhine, dependent of international aid, since communal violence in 2012. Suu Kyi has pledged to begin closing the camps, following recommendations from a commission led by former UN chief Kofi Annan. Reuters has previously interviewed dozens of refugees, residents and Myanmar security officials about the military operation in Rakhine. 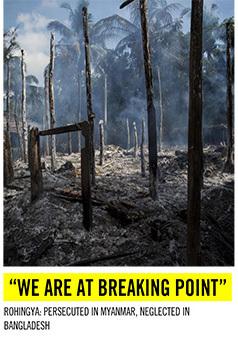 Witnesses said troops raped Rohingya women, killed civilians, and burned homes in a sweep through several villages in November. Satellite imagery analysed by New York-based Human Rights Watch showed massive fires that destroyed hundreds of homes. Myanmar has blocked independent media and observers from the area.